Long-time friend of BUCPOWER.COM, Ross Biddiscombe, will be pleased with this selection as he knew Dave after his NFL career ended and he retired to Colorado. 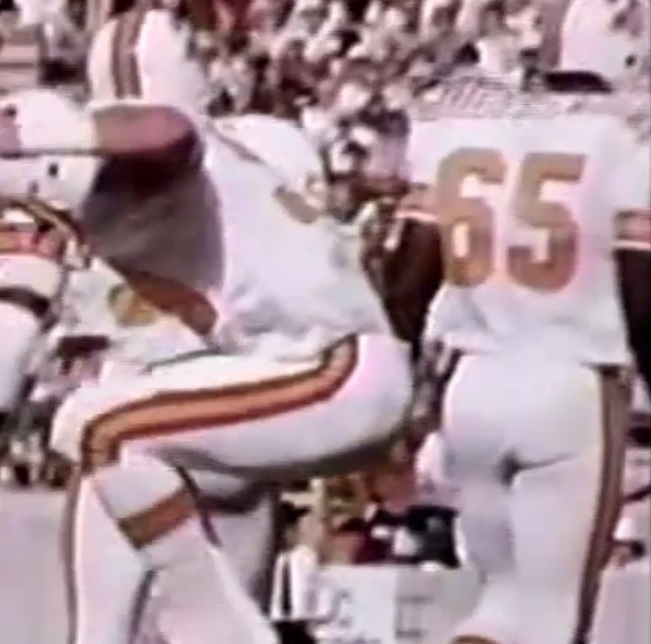 Stalls was a good pass-rushing defensive end who actually led the team in sacks in 1982 ahead of Lee Roy Selmon. 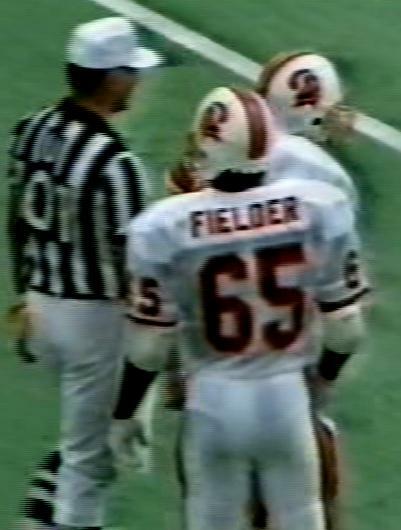 He went on to play in the USFL after leaving Tampa. 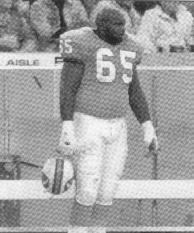 Maulty Moore is one of only two players to have appeared for both the perfect Miami Dolphins and "perfect" Tampa Bay Buccaneers along with LB Larry Ball, whilst Dan Graham managed to spend almost two years on the active/injured roster in Tampa for all of two plays in place of Randy Grimes. 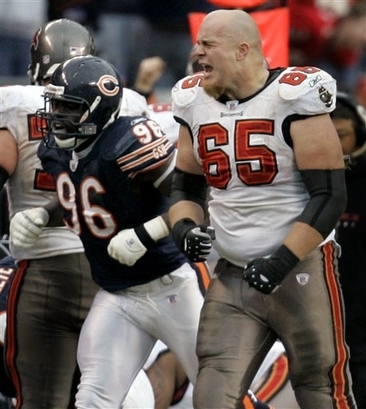 Russ Hochstein wound up starting for the Patriots in a Super Bowl and thanks to Warren Sapp's efforts, received a Tampa Super Bowl ring too having been on the team early in the 2002 season. 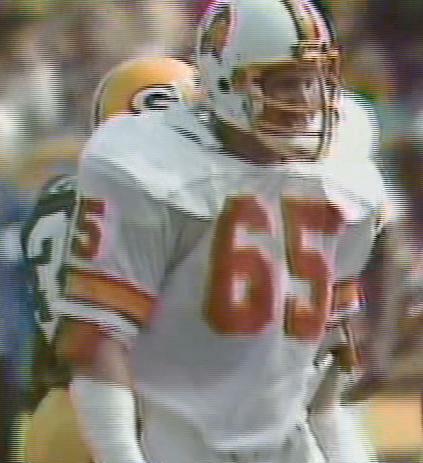 Jeremy Trueblood occupied the number for the longest and started over 80 games for the Buccaneers in his seven seasons with the franchise but with never enough stellar performances to overtake Dave for the best No.65 honour. In recent years the number has been owned by a back-up offensive lineman in Matthew Masifilo, one of three numbers he wore in appearing in the same number of games and LS Garrison Sanborn who switched after a year allowing it to be taken over by 2018 draft pick Alex Cappa.